Pestos are so easy to make and they last for a while. Spread it on your sandwich, toss it in your pasta, or just top it on your roast chicken. Anything you do with it will be delicious. 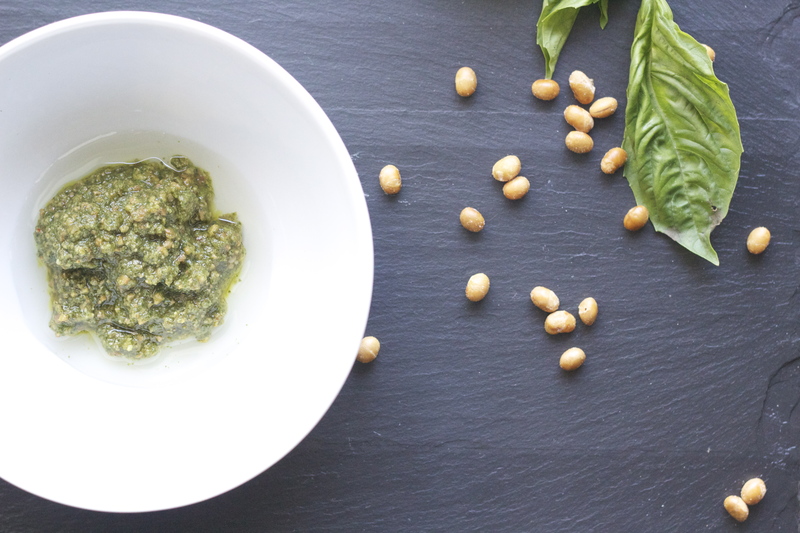 This pesto recipe is so easy to make because you can substitute the herbs and nuts with anything you like. I did mine with parsley, basil, and roasted soy nuts because thats what I had. But you can use anything you have on hand, even throwing in some red chili pepper flakes to make it spicy, come on and get creative! 1. Place all of the ingredients in a food processor and puree until smooth. 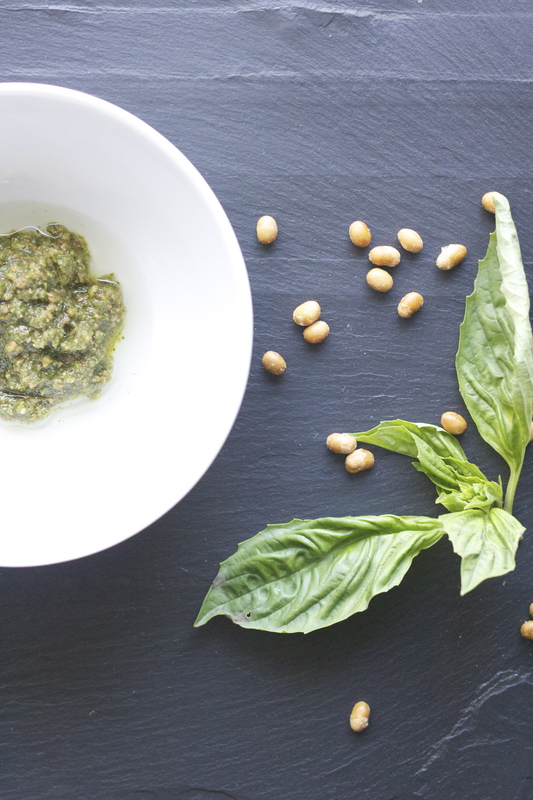 *If you feel like the pesto is too thick, add more olive oil.